Имате въпрос към River Dolphin Hotel? Идеален за развлечения и отдих, River Dolphin Hotel се намира в Kapou, който е един от районите на Крати. Вълнуващият център на града е само на 2 km оттук. С удобното си местоположение хотелът предлага лесен достъп до всички градски забележителности, които задължително трябва да се видят. Възползвайте се от богатството на ненадминатите услуги и удобства в Крати. Безплатен WiFi достъп във всички стаи, таксиметрови услуги, ежедневно почистване, 24-часова охрана, билетни услуги са само част от нещата, които отличават River Dolphin Hotel от останалите хотели в града. 30 стаи са разположени на 4 етажа като във всяка една от тях цари неповторимото усещане за домашен уют. Модерен комфорт с удобства като телевизор с плосък екран, достъп до интернет (безжичен), безжичен интернет достъп (безплатен), стаи за непушачи, климатик са на разположение в определени стаи. Хотелът разполага с голямо разнообразие от развлекателни съоръжения като фитнес зала, открит басейн, риболов, масаж, градина. С перфектното си местоположение и несравними удобства, River Dolphin Hotel е един чудесен избор в много отношения. Pets are allowed to stay in the hotel. Guests with pets must pay a daily cleaning fee 15USD at check- in. We enjoyed our stay. 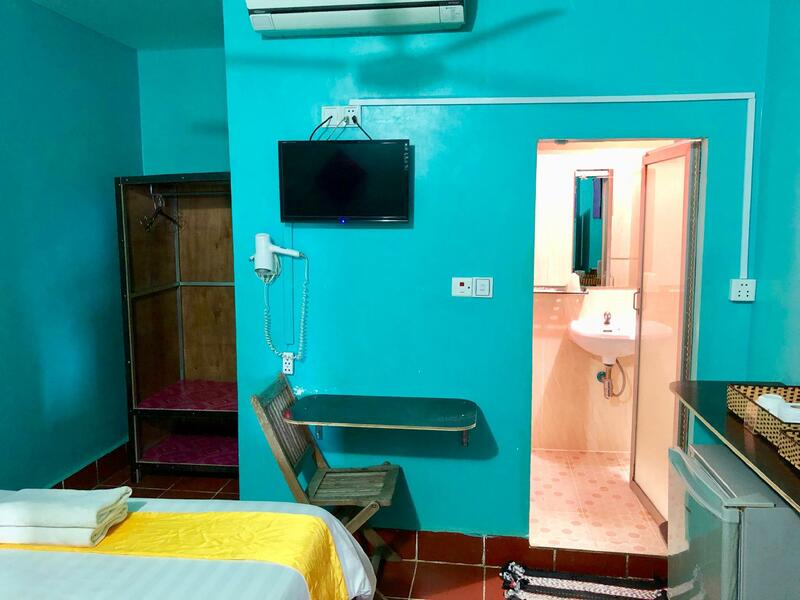 Room was nice and big, clean, very friendly staff, pool available, free tuk tuk ride back and forth to town, restaurant. The location isn’t central but that’s fine because they offer a free tuktuk into and back from town. That worked really well and they were available whenever we wanted, we never had to wait Food was good, plus you get a 15% discount if you eat at their restaurant. The pool was lovely and deep, it gets lots of shade throughout the day. The staff were super helpful especially Dine and the restaurant staff. Our room didn’t have a window but it had a kettle and a fridge/freezer which was great, plus air con and a fan. Passer à la langue suivante : français Hello Reservation made with room without window (we were informed). Arrived in it, small problem of air conditioning that does not work especially well. We went to the reception reported the malfunction and ready to consider a second night if the problem was solved or if another room would be offered. No gesture has been made. The solution was for the hotel to let our air conditioners run all day long to expect a chill when we return in the evening. And no analysis of the air conditioning system carried out. Very disappointed while we were without windows for $ 15 for one night all the same! The welcome is also to be reviewed. We know how to welcome you to share with you and pay for meals at the restaurant or when you take out your wallet to get a ticket. Otherwise, when you report a concern or schedule, we can show you that in any case nothing will be done for you. The morning girl was very cordial at the reception. In the middle of the day, the service leaves something to be desired by these gentlemen. And sneers also vis-à-vis customers would be to proscribe. To strongly advise against. A shame because the context of the place is rather nice. Cordially. Sadly this hotel is effected by multiple power outages which really effects the overall experience of this hotel. Food was average. Its kinda difficult to pass negative remarks given how very friendly the staff are - and they truly are. With better management this place has huge potential. Set off a main road the property is quiet on a rural surrounding. Biking is the go and takes 5 - 10 mins to make your way into town. 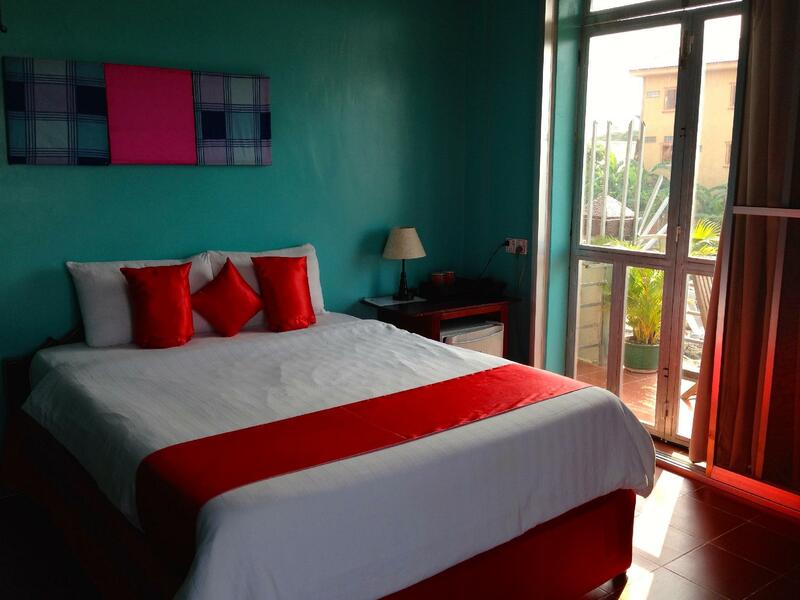 The overall quality of the room vs cost, is very affordable to say the least. NB: Seeing the Irrawaddy Dolphins is easily reachable by motorbike however 'IT IS POORLY SIGNPOSTED'. Nice staff. Reallt cool to have access at a free tuk tuk all the time. They give you good advice you can book bus, to see dolphins , to go to the mountain. Food is ok but not great. Pool is excellent. Nice room. 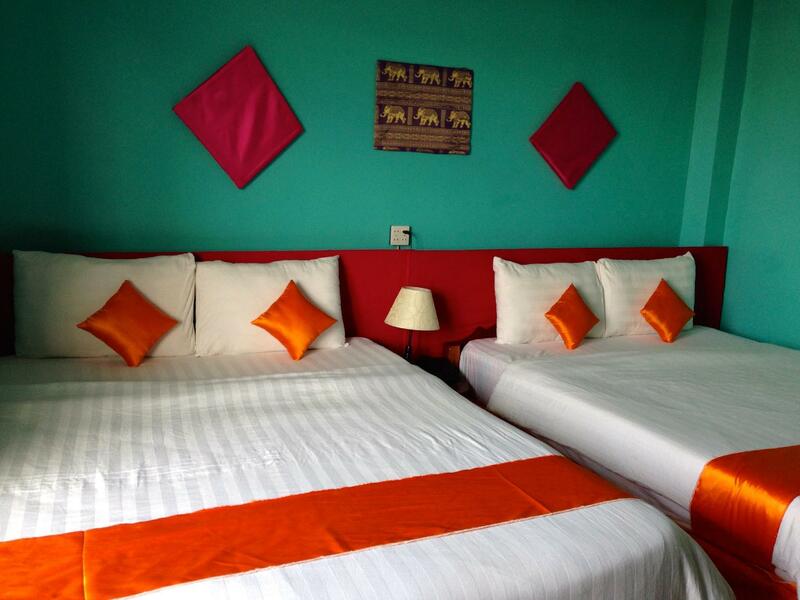 Spacious room, equipped with fridge and water heater for coffee, bathroom with separate shower and hot water. The bathroom was lit very dimly. Nice to pool to refresh after a hot day out. Staff was very friendly and helpful with good English language skills. Breakfast good and really much food. Hotel is situated about 2km from the centre and the riverfront. They offer free Tuktuk service to bring you into town and pick you up. The driver even waited two hours with us when he drove us to the road where the bus to Vietnam was to stop to make sure we would get into the bus! When we arrived on the bus a member of staff from the hotel was waiting on us to drive us to the hotel which was a lovely surprise. Fresh fruit juice on arrival. Lovely staff who helped us organise our excursion to see the river dolphins. Great restaurant downstairs. Room was great with nice big windows and balcony. The surrounding area is lovely. After riding sleeper bus, bus the mini bus we wanted a pool to relax our butts, release the muscles and clean the dust from our cracks. Staff is wonderful and helpful Well worth the extra. A little out of the way but they offer FREE tuk tuk rides and rent motorcycles. We walking to the nearby street to eat and look in stores but the hotel has a nice menu. Did I tell you about the pool. Great. Nice big pool area. Our room was large with a balcony, fridge, coffee maker, 8 inch thick mattress and more. For a real treat for the brave and intetested, visit the very little restaurant (2chairs) on the dirt street behind the pool. Best salad I ate in this 88 day adventure. Good sausage too. We love to support the hardest working poor people we find by buying from them. Ate twice, my wife bought some shampoo we didn't really need (2 small packets) and gave the kids some candy she carries. Nice hotel, where u can really rest and take a breath. 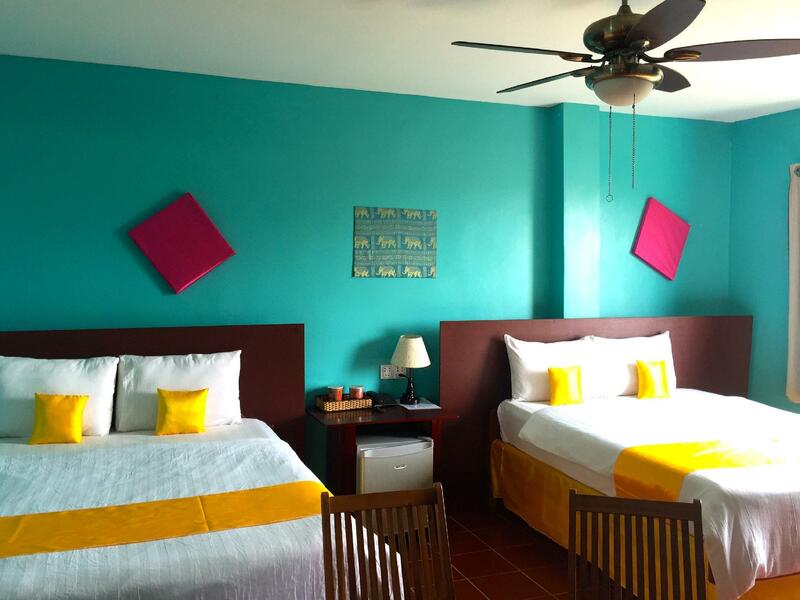 Comfy rooms, clean and very good food. I do think it is relatively expensive. Also, the airconditioning doesnt work great, so it doesnt get really cold. But for me it was cool enough. The pool is nice, but has too much chlorine in it. After washing my bikini it still smells like chlorine. Helpful staff, free tuck tuck transport, there and back, to riverside. Food. This is an OK place. It may have been good at it's best. I wouldn't pay more than 20USD for the best rooms. Unfortunately the owner is constructing flats opposite the hotel so no more view of rice paddy fields. The work starts at 7am and you wake and eat breakfast to the sound of grinding metal and the dust from lorries. The neighbour blasts out drum and base each night to 11pm. It definitely does not have a village feel. It's a way out of town. Style, definitely not Boutique. Garish colours make the rooms feel oppressive. There must be better options in town. The owner should really tell Agora and Booking about the building work in the hotel description as they are the ones doing it. You know where the hotel is when you book. It's on the outside of town and, if you like that, it's perfect. The staff could not be nicer, more helpful or happier. That alone is worth the stay. The rooms could not be cleaner or better. Swimming pool, restaurant and bar. What more do you want? The hotel is a little bit far away from the city center, but we had our car, so it was OK for us. Food is average, needs improvement. The fish pond is very nice: my kid get to catch fishes! Very friendly staff, but performance needs a little bit of improvement. The property has lots of potential, the rooms are spacious, comfortable and cheap. The staff are helpful although at times it feels like your working to their time frames, not your own! The food was average (to say the least) and the power is a huge issue. I had food poisoning one night and the power went off up to 20 times! Very awkward and uncomfortable to say the least! Don't book a bus here if your heading to Laos - try to book in town - I was told to take 7am mini bus even though I asked to take a later one, why wait 3 hrs to stung treng... I ended up waiting 4 and people from the same hotel arrived 1 hr before we left. We got ripped. Spun a load of BS ablout no ATM's on Don Det and promised to provide transport from Nagasang (wrong spelling) to Don Det. 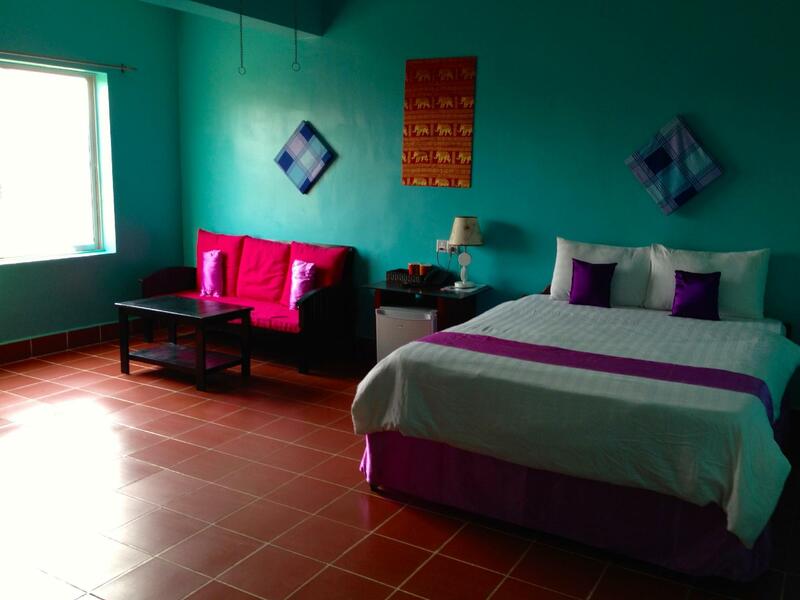 Kratie is a 2 -3 day stop! If your heading to Laos, don't waste another day. I'd also bypass Stung Treng. My personal oppinion. We loved our stay here and will definitely go again.